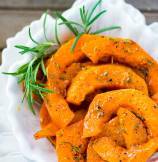 Bring holiday festivities to dinner with Rosemary and Sugar Roasted Savory Butternut Squash! 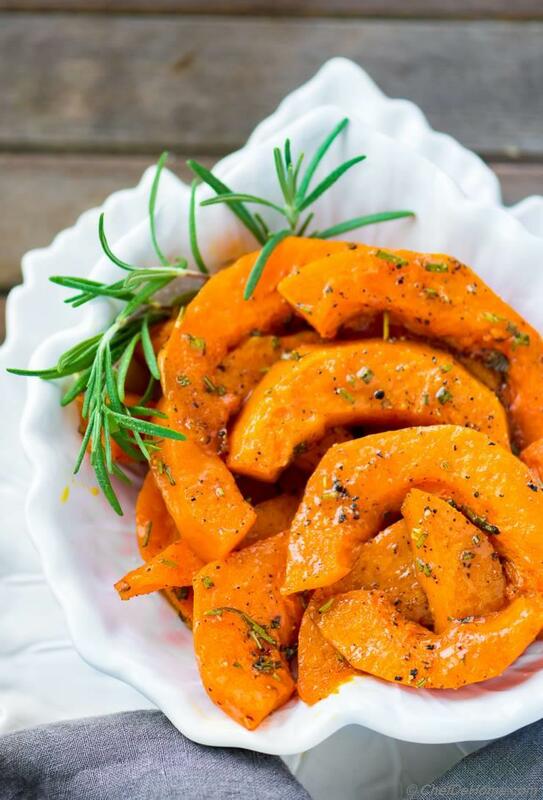 3 Ingredients, Roasted Butternut Squash with rosemary, hint of sugar and salt for a savory festive side that everyone will enjoy! This easy Thanksgiving side will be perfect addition to family dinner with my Wild Rice Stuffing and Pumpkin Dinner Rolls with Ginger-Honey Butter. Oh, and if you are not planning to bake a whole turkey this year? I also have this perfect Lemon Thyme Roasted Whole Chicken recipe to complete the Thanksgiving feast. Today's recipe is gluten free, vegan, and low carb. You can also replace sugar with agave/brown sugar for rich brown color or just for personal touch. So, let's roast some butternut squash!! Shall we?! Every fall-winter season when butternut squash is in season and super sweet... We roast a LOT of it. 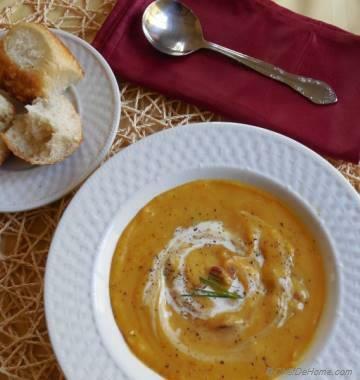 We are huge fan of savory flavors with roasted butternut squash. So I keep finding new flavor ideas to season this humble vitamin-rich fruit. I don't share every such recipe on blog or otherwise blog will be loaded with roasted butternut squash recipes. Honestly, most recipes are very simple. But a few stand out like this one with rosemary that I decided to post it in spirit of holidays! To roast Butternut Squash with Rosemary, I prepare the rub with three ingredients - fresh chopped rosemary, sugar and salt mixed into some olive oil. 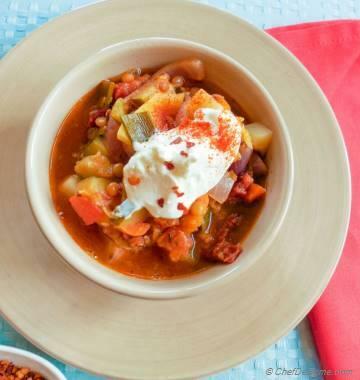 That's all ingredients you need for this savory recipe. It makes squash shine through. Plus aroma rosemary fills the kitchen with festive holiday feeling. Note: Please use generous pinch or two of salt. 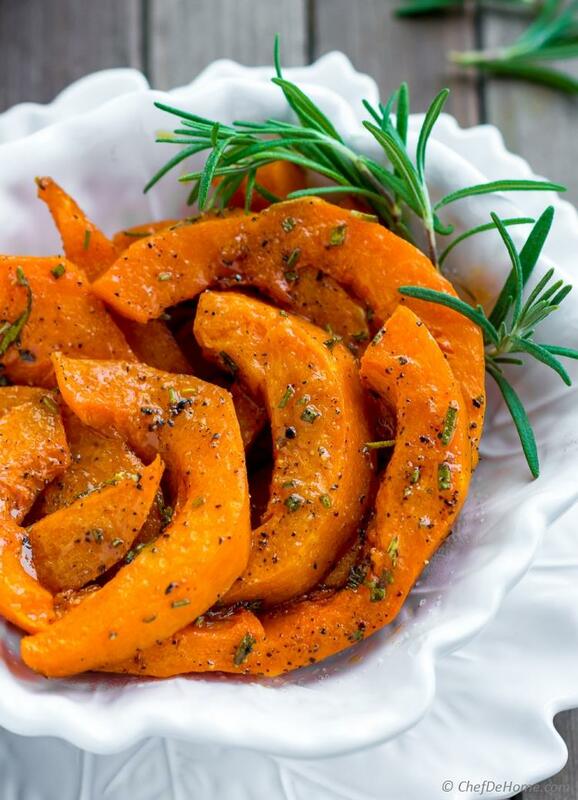 Don't skimp because salt brings out the flavor of squash and it compliments the sugar and rosemary. Recipe needs only 10 minutes prep. Most of which is for slicing the squash. (more on this ahead) Once squash is sliced. I massage the rosemary rub on squash slices in a bowl. Using bowl helps me catch all drippings and re-apply on squash. If you notice in pictures, there is almost nothing on sheet pan except sprinkle of salt and pepper as all action happened in the bowl. I bake butternut squash in preheat oven at 400 degrees Fahrenheit for 20-25 minutes or until squash is knife tender. You don't want to overcook squash which makes it mushy. Keeping eye after first 20 minutes works best for me. When serving butternut squash for sides such as this one, I don't like square small diced pieces. 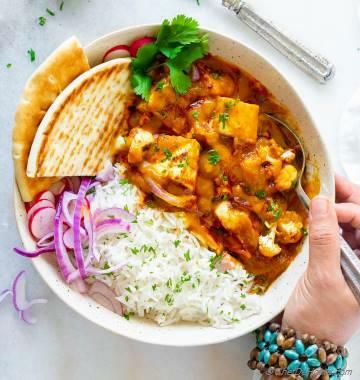 If you are okay with those then you can even use store-bought pre-peeled and diced butternut squash for this recipe. To slice fresh butternut squash like I did for this recipe; I cut squash into round thick circles which is very easy compared to making vertical slit. Next I slice those rounds to half and scoop out seeds. Peeling small wedges of butternut squash turns out very easy. 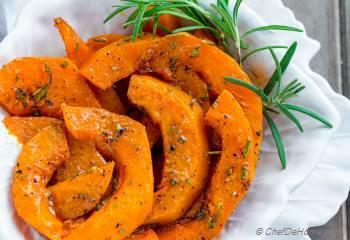 However, for this recipe you can also roast butternut squash wedges with skin. 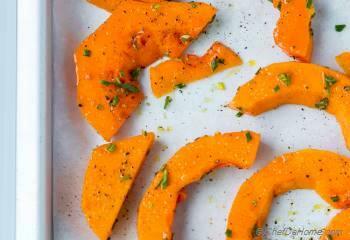 After roasting, serve as-is and let guests eat squash and peel off skin. This post for baked Butternut Squash recipe is as simple as the recipe itself. I hope you will enjoy it as much we do. Stay tuned for more holiday festivity and unique recipes in coming week. 1. Preheat oven at 400 degrees Fahrenheit. Line 2 baking sheets with parchment and set aside. 2. 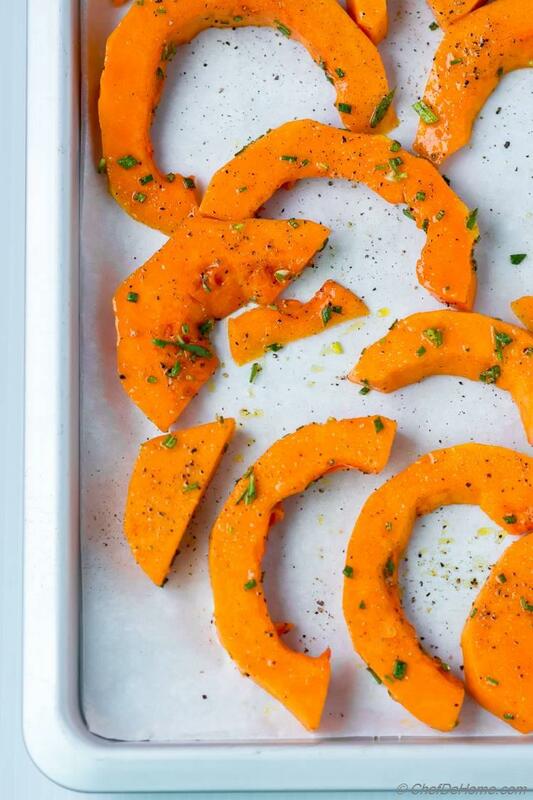 Peel and slice butternut squash into wedges. In a bowl, add oil, sugar, chopped rosemary with 1/2 tsp salt and black pepper (adjust per taste). Mix well. Add squash wedges and massage to coat in sugar and rosemary mixture. Place on baking sheet. To make slicing easy, I like to cut squash into round discs. Then peel each disc with peeler, scoop out seeds and slice in half. You can also bake it skin-on and discard it later. 3. Bake for 20-25 minutes or until squash is knife tender. Sprinkle little more salt before serving. Don't let squash go mushy. It taste best when cooked but still firm enough to lift a piece without breaking.